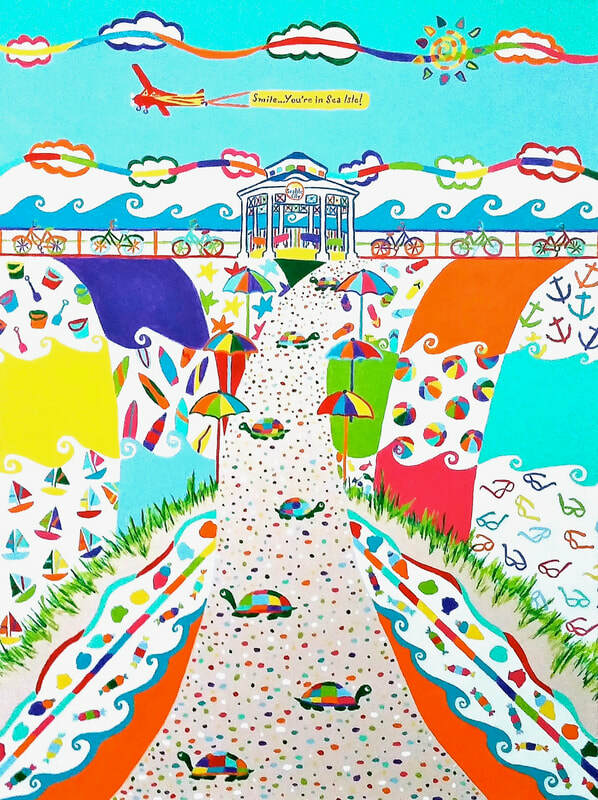 Below are my ​Sea Isle City Promenade and Band Shell acrylic paintings. If you're interested in a Sea Isle themed product, visit my online store @ http://www.zazzle.com/lovecolor. My Sea Isle themed framed and matted prints, throw pillows and mugs are sold exclusively at Coastal Palms Boutique in Sea Isle City! Great gifts for anyone that lives in or loves Sea Isle City, NJ!